After doing the Air Force RPR build we were stoked to take a look at the .22 version of the rifle. For the cost, the quality and the aesthetics, this rifle was perfect for a theme build. We were inspired by a certain sci-fi bounty hunter. 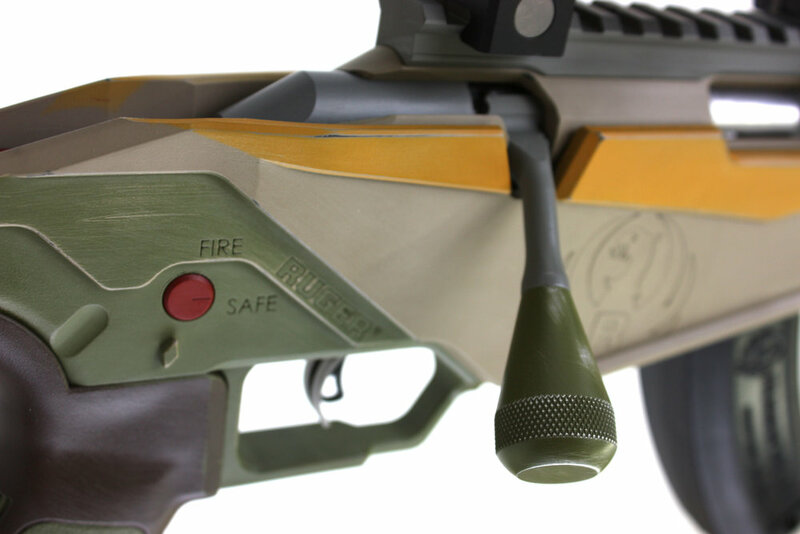 Our only real modification is a tactical bolt knob because it feels more like a centerfire rifle when operating the bolt and looks good too! We went for an especially weathered look on this build, breaking all the corners for a worn, but well maintained bounty hunter's rifle. A common side effect of Cerakoting a firearm is a smoother action, due to the coatings lower coefficient of friction than steel on steel, and this gun was no exception. The bolt on our cerakoted RPR is a fair amount smoother than the factory bolt, and combined with a tuned trigger and a Nightforce scope, this is our new favorite .22 LR in it's price range.